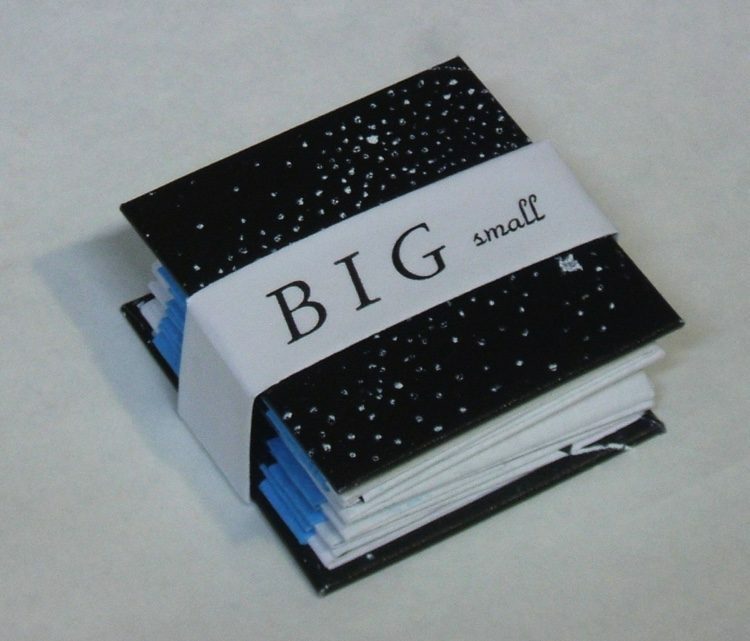 BIG small is a book about our small place in a big universe. 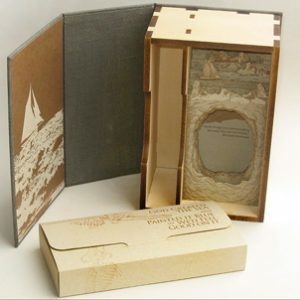 Each page unfolds to show original illustrations that were produced by etching the design on to a zinc plate and then augmenting the plate with engraving. 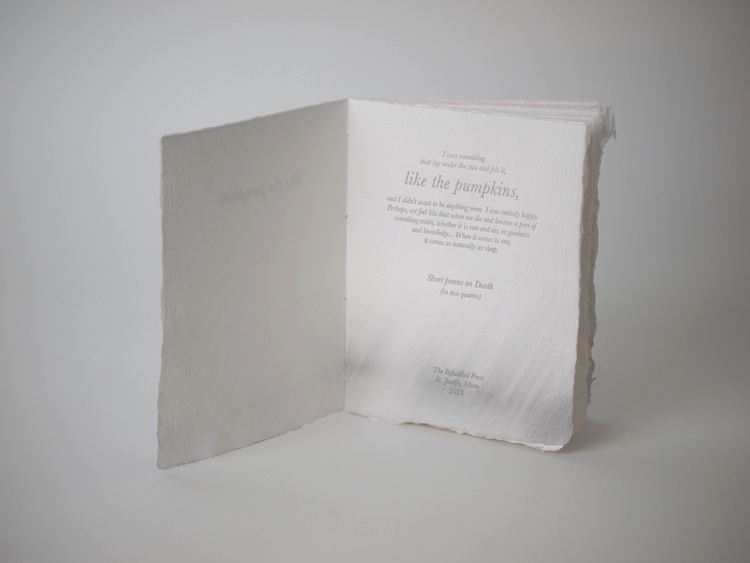 The white ink etchings were printed on to a 2-color (blue then black) flood coat. 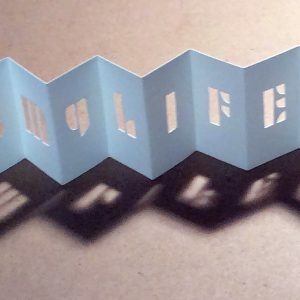 Text was letterpress printed from hand set metal type. Thomas Parker Williams lives and works in Philadelphia, Pennsylvania. 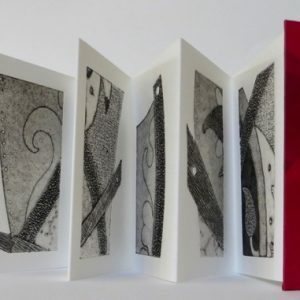 His work includes hand-made artist book editions, unique book works, printmaking, and painting. 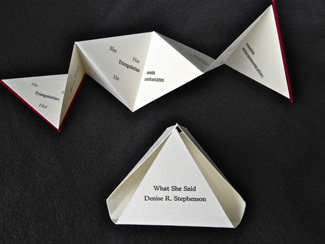 Some of his artist book editions contain an audio element – music or sound work – composed, performed, and recorded by the artist. 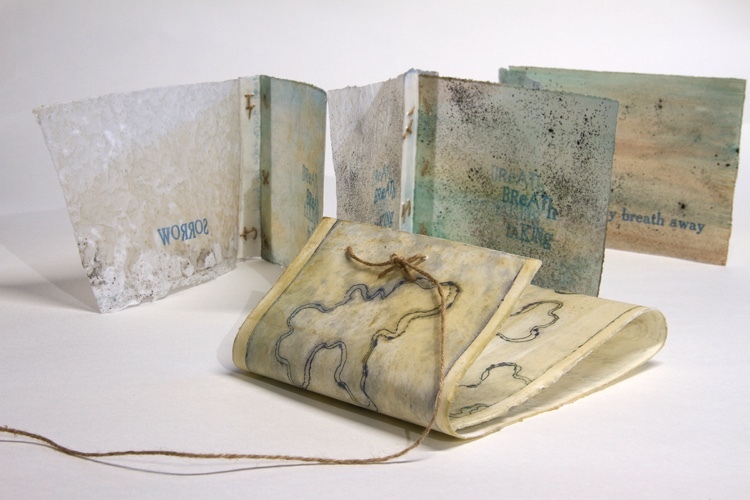 Tom’s artist books are in numerous private and public collections.